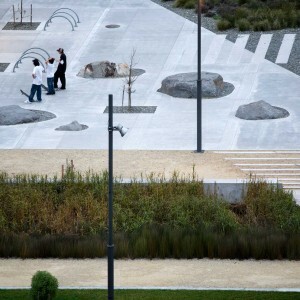 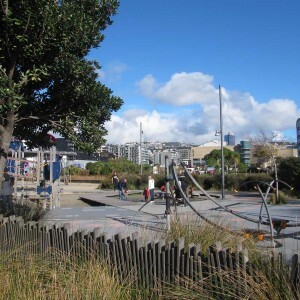 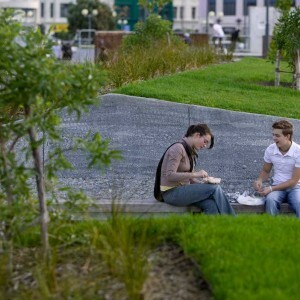 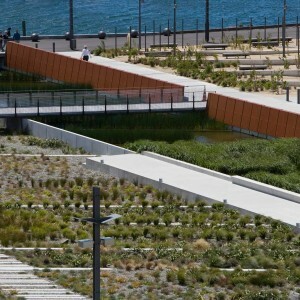 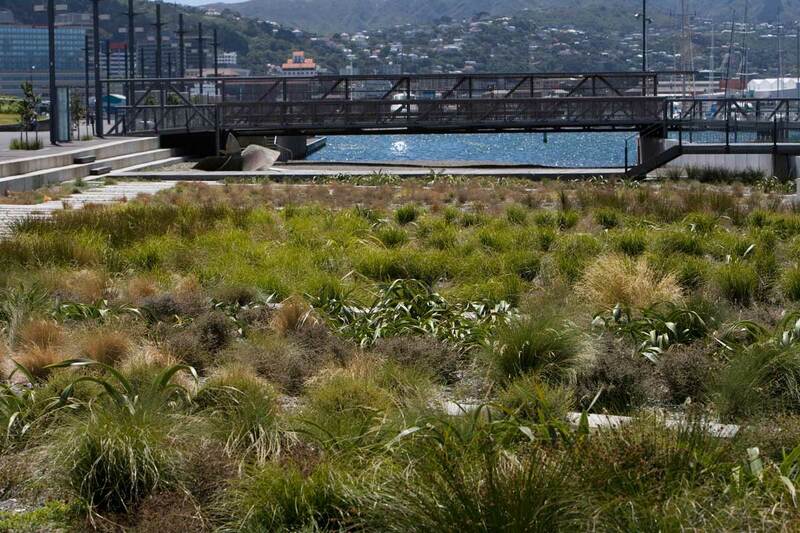 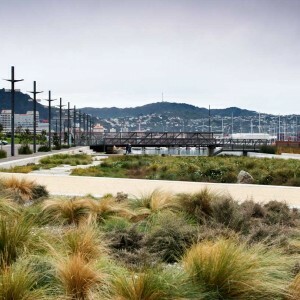 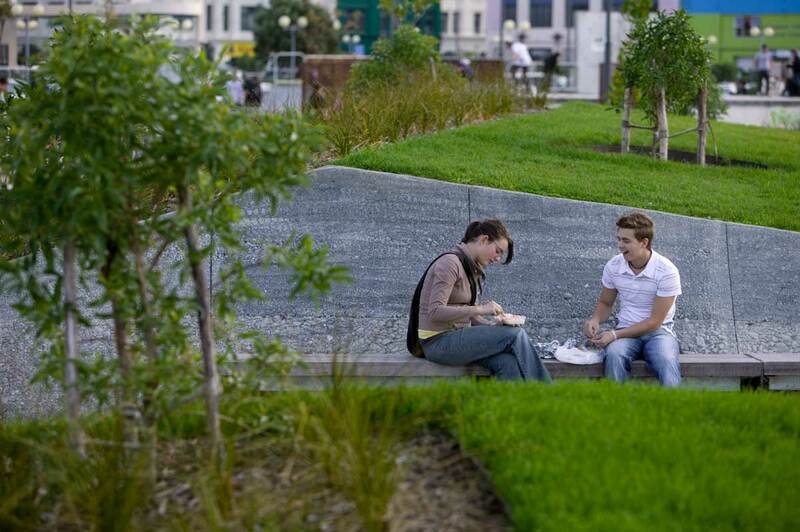 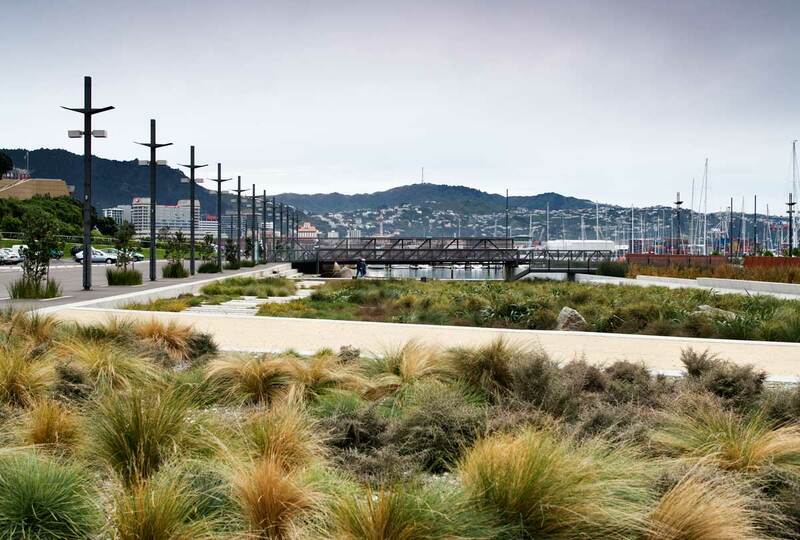 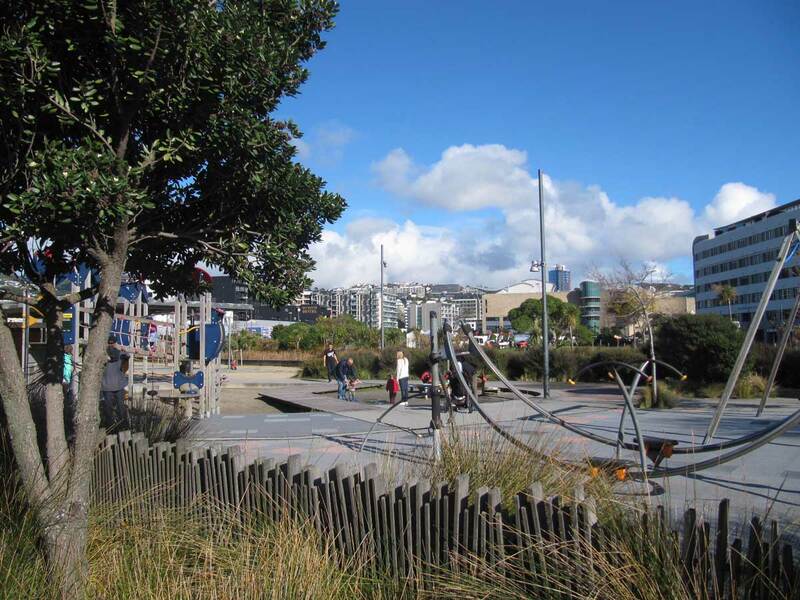 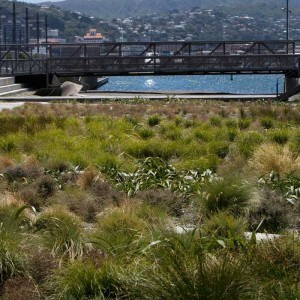 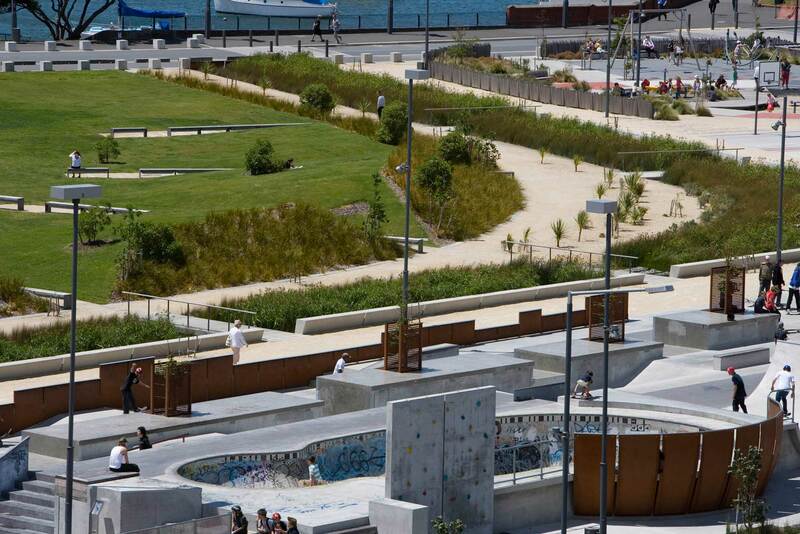 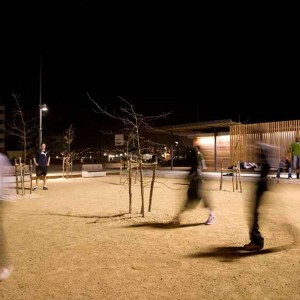 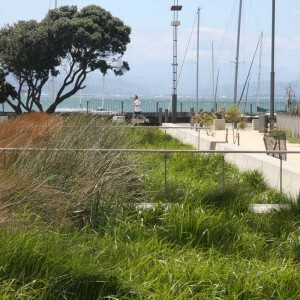 Wraight Athfield Landscape + Architecture: A former brown-field site, Waitangi Park redefines the concept of urban park within the Wellington coastal context. 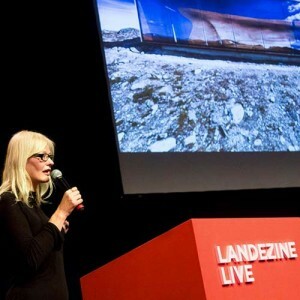 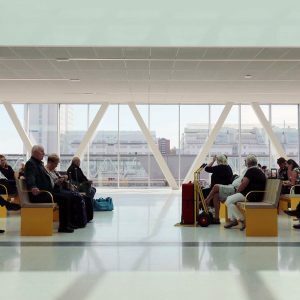 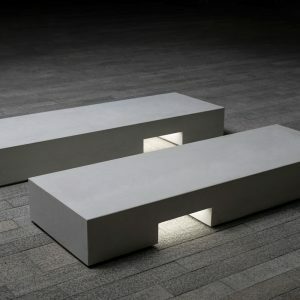 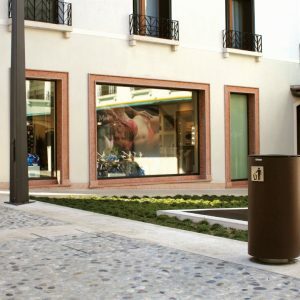 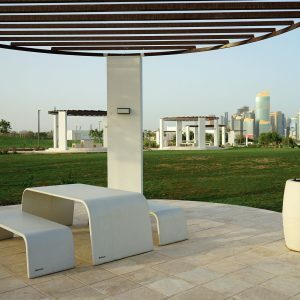 It displays innovations across a wide spectrum, from design and engineering to sustainability and interpretation. 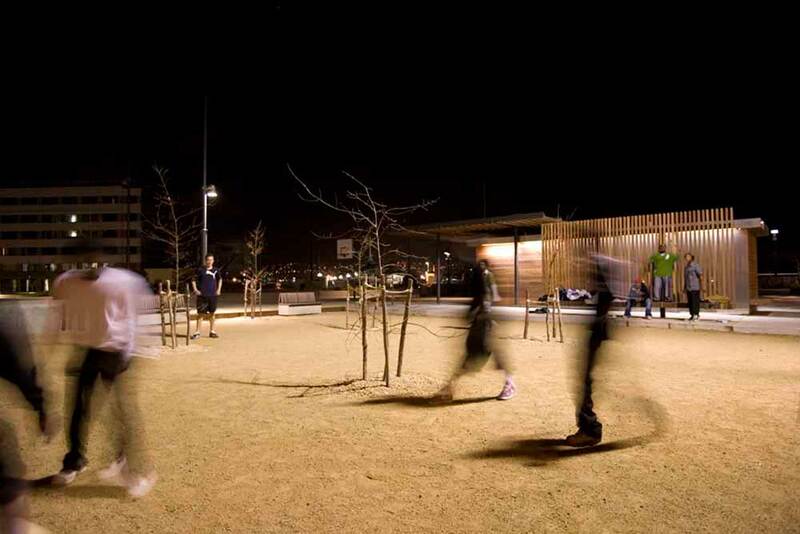 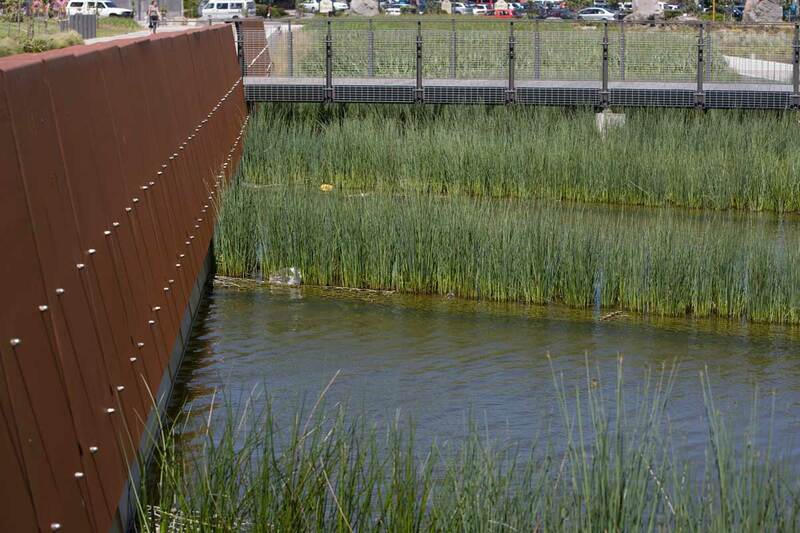 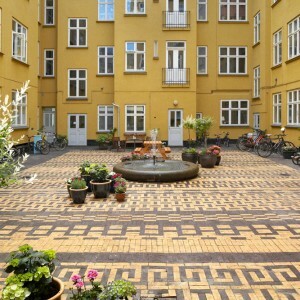 The park offers a multitude of recreational possibilities. 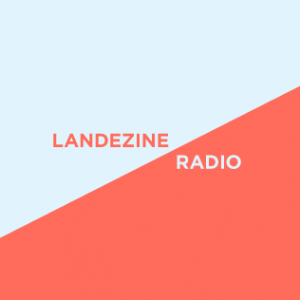 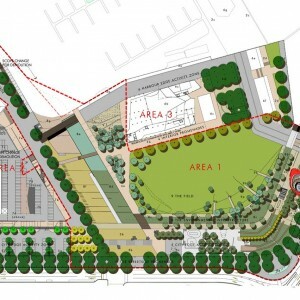 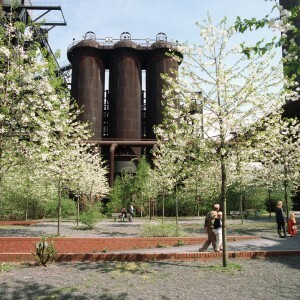 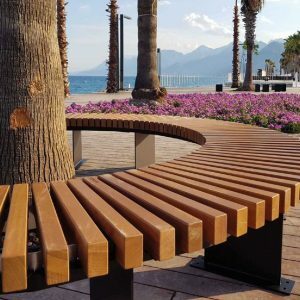 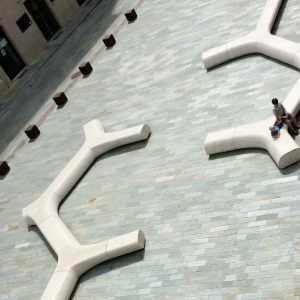 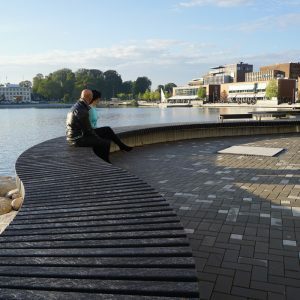 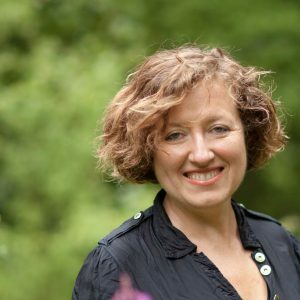 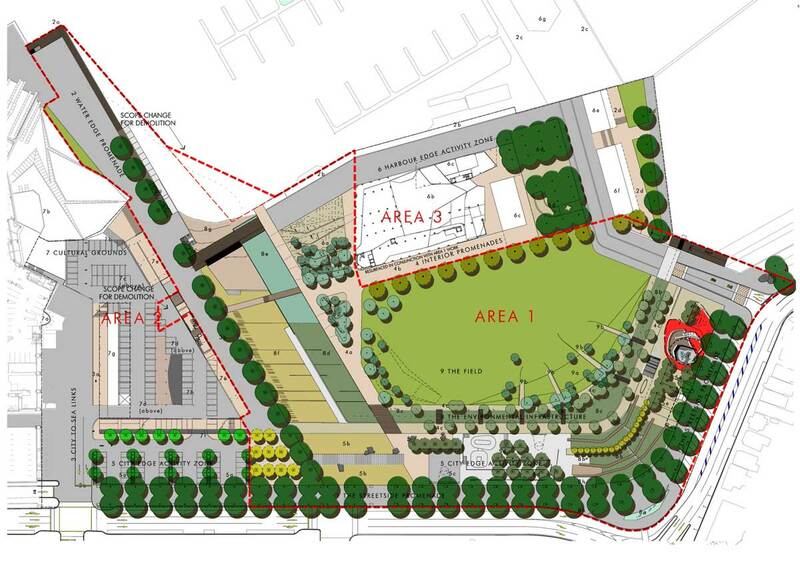 It is structured around five key initiatives: the activity zone; the promenades; the cultural and historical overlays; the field and a programme of highly integrated environmental infrastructure. 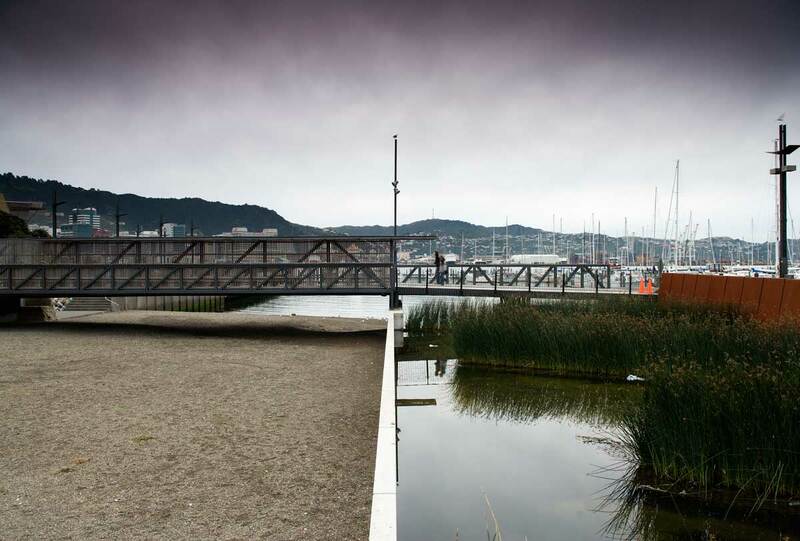 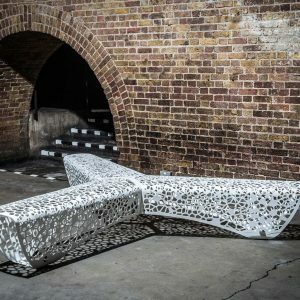 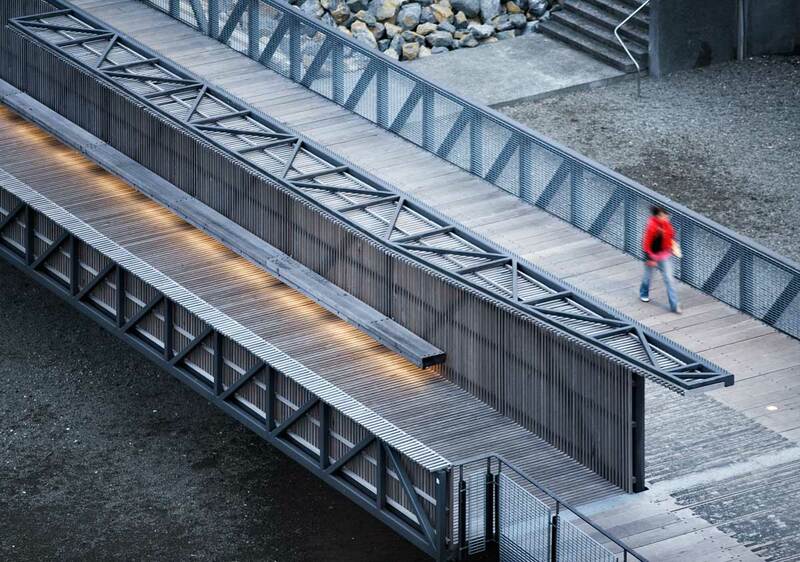 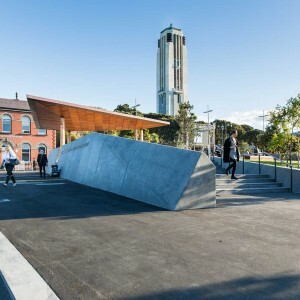 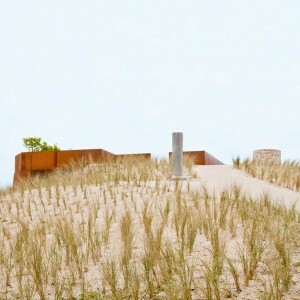 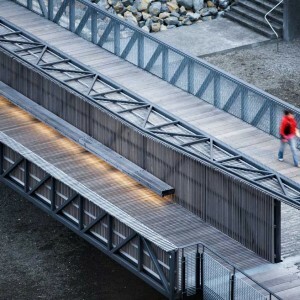 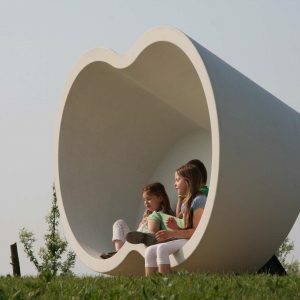 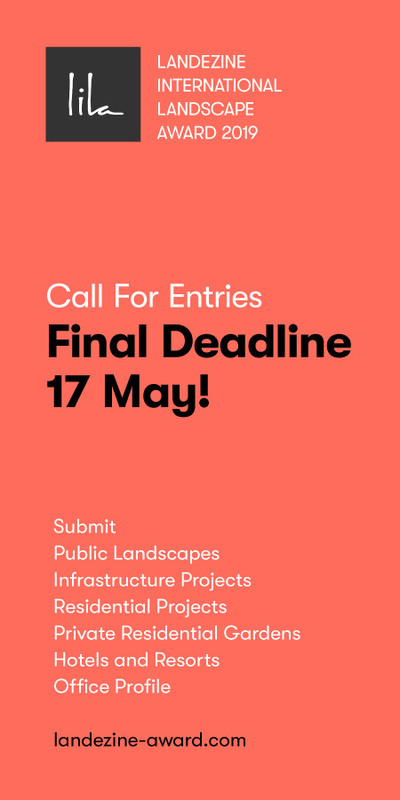 •	Amplification of the park’s physical components by woven narratives pertinent to the Wellington region, referencing both the natural and cultural heritage of the site. 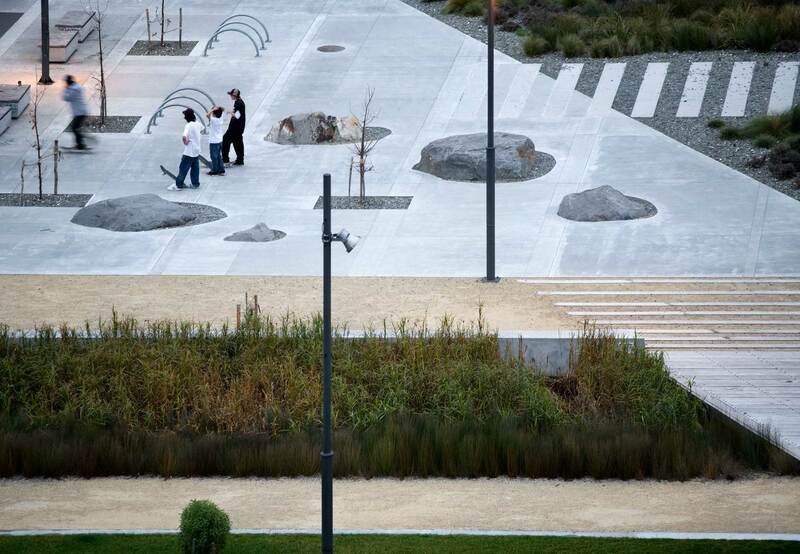 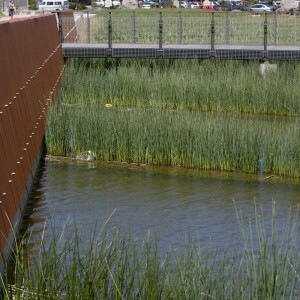 The interpretation of cultural narrative and site history are central to the design concept and are woven throughout the park’s detailing and spatial composition. 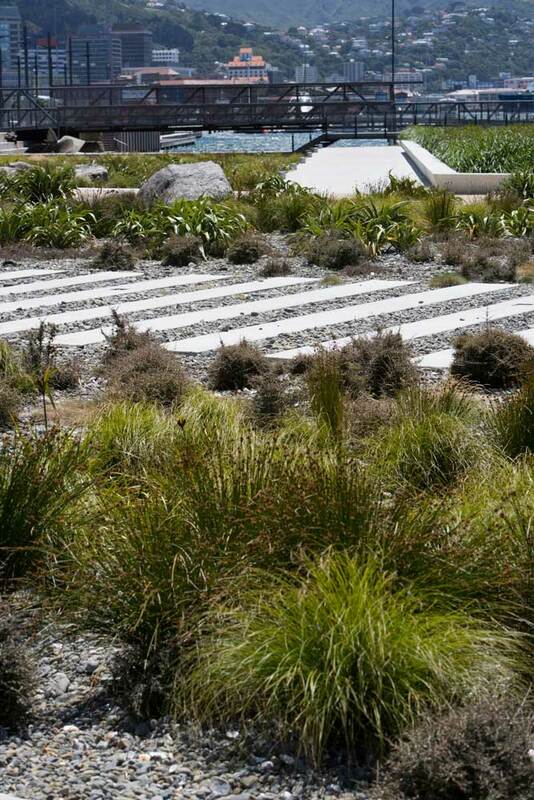 This approach, fully integrating site interpretation into the built form, is possibly most evident in the realisation of the Waitangi Stream and the Graving Dock. 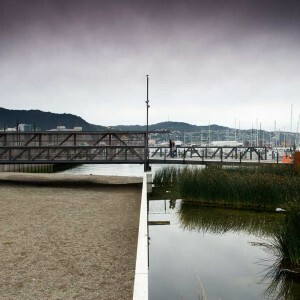 Both of these are major components of the site’s Water Sensitive infrastructure and clear acknowledgements of the site’s historical past and its significance to local Iwi of The Tenths Trust. 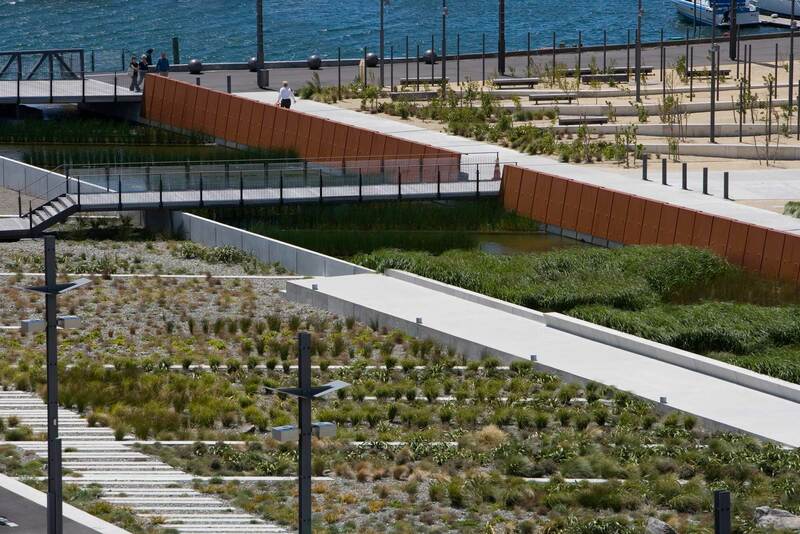 •	Use of renewable energy (wind/solar power) and thereby the reduction of greenhouse gases. 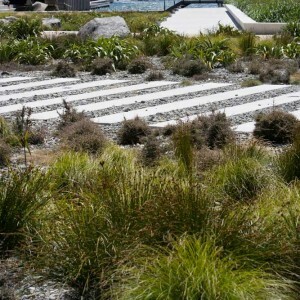 Cultural narrative and histories are central to the design concept and include a waharoa and pou carved by local artists. 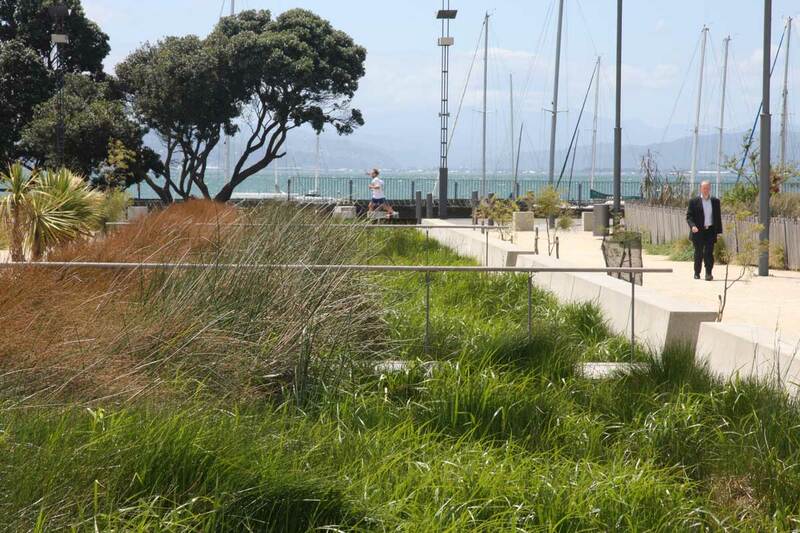 Other interpretive elements include the graving dock, the powhiri mound and the waka landing areas. 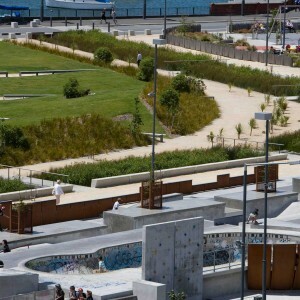 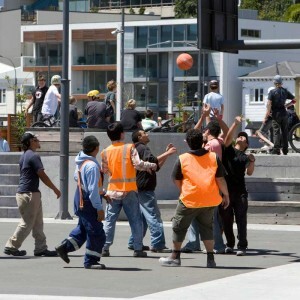 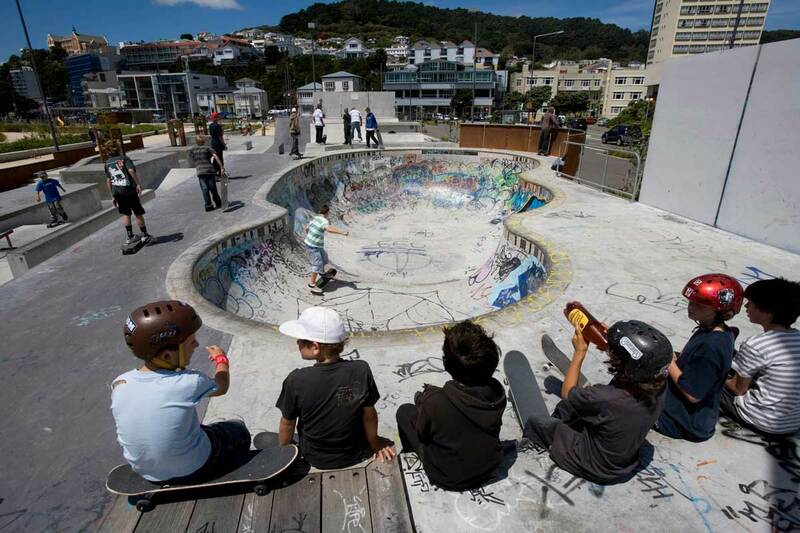 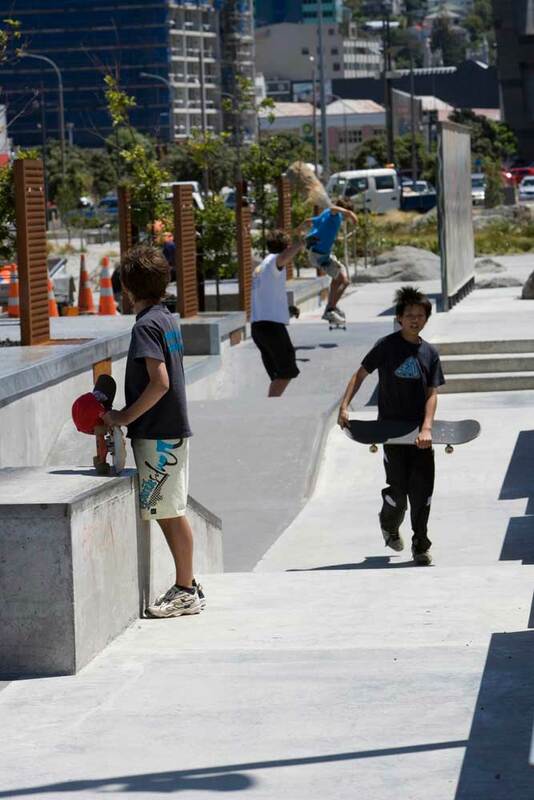 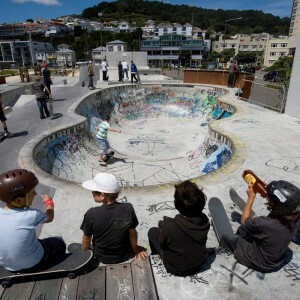 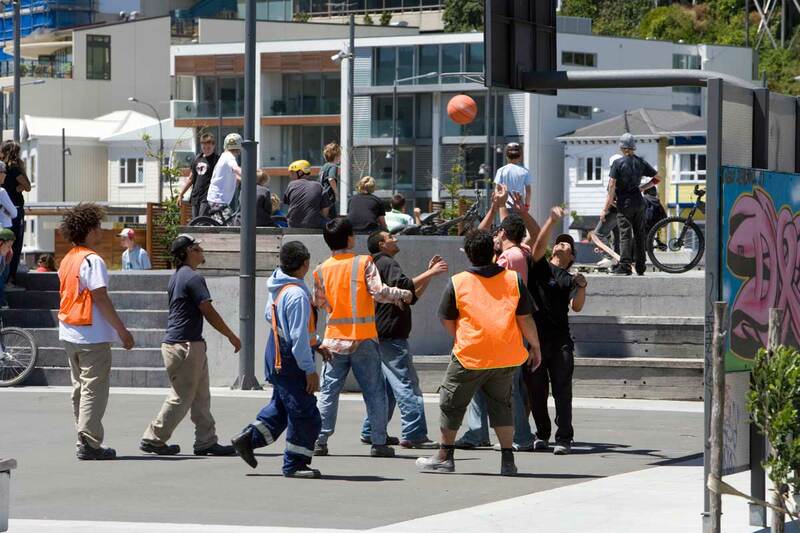 Since its opening, Waitangi Park has hosted numerous travelling exhibitions, performances and events and provided a valuable public outdoor arena for Wellington to showcase the arts. 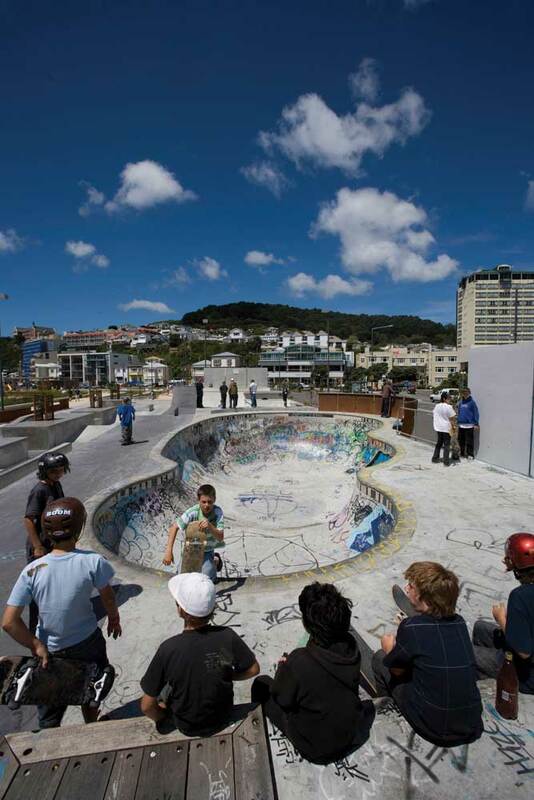 Arts based activity is also integral to the daily life of the park through the constantly changing aerosol art on specially installed screens that stand alongside the skate park.